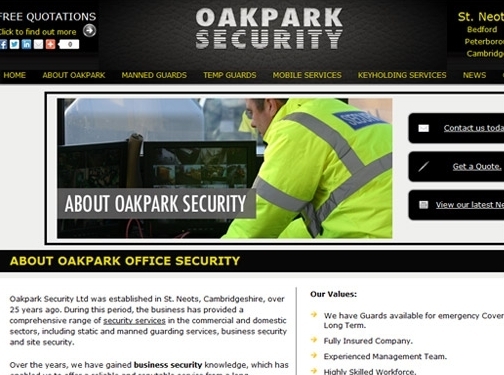 Provide high quality security services throughout Peterborough and the surrounding areas. UK (St Neots) based company providing security services. Website includes details of services provided, video introduction on home page, full company contact details.